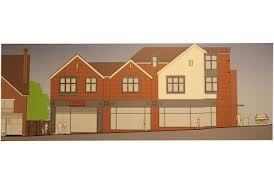 A heavily contested Tesco store could open in Ashtead if councillors follow advice from their planning officers. Locals have been opposed to the scheme for four years which in this third revision of the plans now seeks to provide a 690 square metre Tesco Metro store with nine apartments over on the former Esso site at The Street, Ashtead. Despite the proposed shop floor having been reduced from the original proposal of 1,115 square metre supermarket, residents are still angered that the the planning officers have recommended this current proposal for approval. The second application sought a 790 square metre supermarket which when taken to appeal was required to find 74 additional parking spaces within the town to cater for the store’s customers. Yet this current scheme does not provide any parking for customers at all. A representative from Mole Valley District Council planning department agreed that parking was one of the most contentious elements of the scheme. However went on to say that Tesco had submitted a large amount of information to demonstrate that the existing parking facilities are acceptable. If approved the store could provide up to 50 new job vacancies for local job seekers. Tesco’s corporate affairs manager, Simon Petar is looking forward to receiving the final decision on Wednesday 12th September, saying, “Our Metro will give The Street a real economic lift, create jobs and give Ashtead shoppers additional choice,” he said. You should visit the store if you are interested in those job vacancies. UPDATE: TESCO is coming to Ashtead, it was finally confirmed this week. 14th September 2012. Please make sure to bookmark this page via buttons below since we will update this news story once we hear more about it.